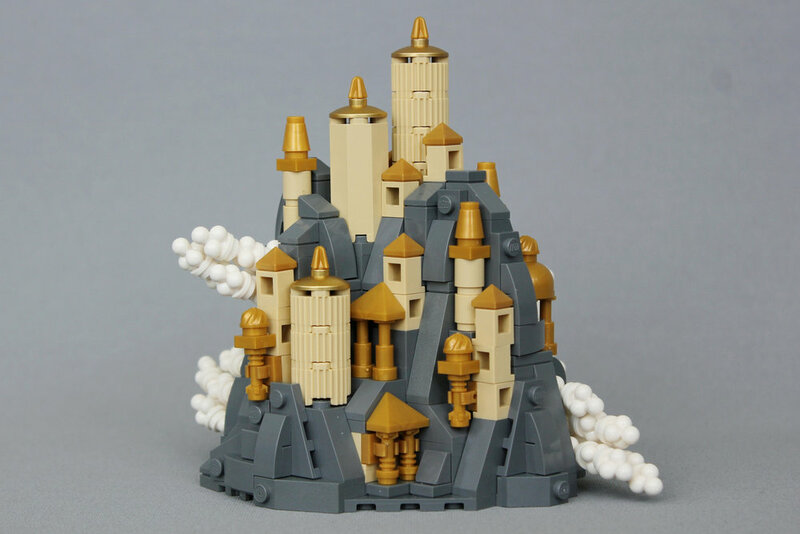 I love everything about this little castle in the clouds micro build from builder soccerkid6. It’s his 12th build (!) for CCC XVI and it’s absolutely lovely. I can just imagine the simulated helicopter shot as we punch through the clouds and the music swells to reveal this location in a fantasy film, wouldn’t that be cool?